A very special adapter to change 13w3 to a High Density 15 Connector. Works on almost all newer Sun Monitors. then this is the correct adapter. 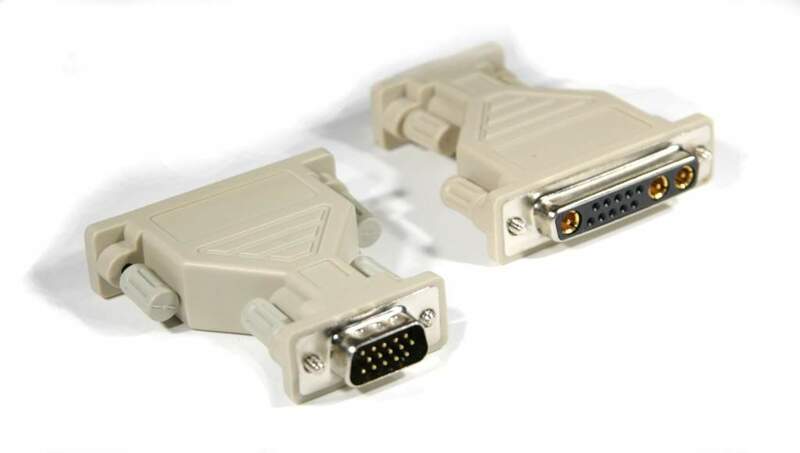 Horizontal and Vertical Scan circuitry is included in these monitors allowing them to support both DOS and Windows and MAC. Without the use of a special Video Card.